It’s easy to think that your B2B site should work no differently than a standard B2C website. After all, both sites are generally geared toward selling services and products. However, a strong B2B eCommerce website demonstrates an understanding of the key differences between the two approaches. On a B2C website, you’re appealing directly to consumers who are likely looking for the best deals, and who are often prepared to make largely emotional purchasing decisions. Their primary motivation is to have a good time shopping and feel good about what they buy. As a result, B2C websites need to be bright, cheery, humorous, and entertaining. In contrast, on a B2B website, you’re working with professional consumers who will likely be looking for other experienced professionals with whom to do business. Purchases are thought through logically and are sometimes made by committee. Your B2B website needs to have content that reflects your expertise and provides customer education. 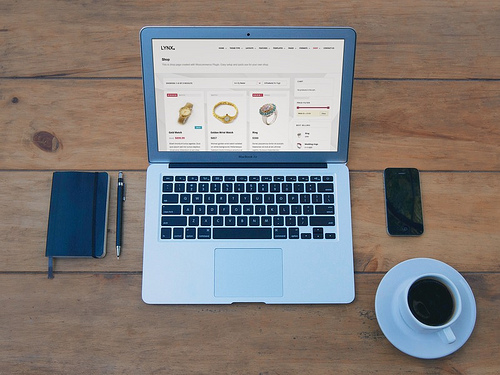 Whether you are just beginning to market to a B2B customer base or you’re engaged in active reflection about what to improve on an existing website, here are five mistakes to avoid with your B2B eCommerce site. By 2021, B2B eCommerce sales are predicted to reach $6.5 trillion worldwide and should account for more than 13% of all B2B sales. This will place B2B ahead of retail eCommerce not only in terms of dollars spent, but also in terms of movement of units. With this much business at stake, it is imperative that your website design be easy to navigate. It must also provide the professional consumer a gateway with reduced bounce effects. You may think that all consumers want an Amazon-type experience with lots of bells and whistles; however, B2B consumers are different. With B2B consumers, making a purchase is just one item on their to-do lists for the day. They don’t need to be entertained. They want a streamlined, efficient process. Consumers want to read content that is informative and professional, not flashy and full of brand-awareness schemes. They are looking for in-depth industry knowledge that demonstrates professionalism and brand credibility. A B2B website should be quick to load, user-friendly, pleasing to the eye, and optimized for search and mobile devices. It is also imperative that you include professional, high-resolution photographs and images with your product descriptions. When it comes to product presentation, the more information and imagery, the better off you are and the easier you will make it for your customers to make wise purchasing decisions. If product information is available 24/7, customers won’t have to wait to call your sales staff with questions. Business transactions can be successfully completed even when your business is closed. It’s a mistake to think that a well-done website takes the place of sales staff and customer support personnel. If your sales staff feels like they’re being replaced, they won’t do a very good job of promoting your business. Likewise, relying on technology (such as live chat) to do customer support when many customers have detailed questions about products can be a mistake. Before implementing your B2B website, sit down with your sales staff and let them know they are still a vital part of the operation. Let them know how they will be paid for eCommerce sales and how much eCommerce means to the bottom line of the business. Likewise, your customer service reps need to understand how to integrate product information from the website into their customer service experience. Customers will still prefer dealing with a human over having to decipher information from a website. Customer service reps are still valuable pieces of the operation, even with detailed information available online. B2B consumers are well aware of the value of making deals. Purchasing departments often want to negotiate prices, terms, or freight options. Knowing this, your B2B site needs to offer customer-specific pricing and show consumers online what their specific negotiated prices and shipping rates are. You should make your site as easy to use as possible. This means being able to personalize information for each customer. It also means being able to organize customers into different payment groups or tiers. Here again, the mistake many businesses make is trying to duplicate an Amazon-like experience in a situation that requires something different. It is not acceptable to expect your B2B customers to simply type in a credit card number into your convenient form field. Because you are dealing with purchasing professionals, they will likely expect a variety of payment options. Whether it’s some form of credit, an electronic check, a check by mail or, most commonly, a purchase order, your website needs to be able to accommodate each arrangement. It also needs to accommodate different purchasing terms, everything from 30 to 120 days. Accommodating different purchasing arrangements is vital for effective B2B eCommerce. The key point to remember is that B2B eCommerce has subtle variations that differentiate it from standard B2C eCommerce. By tailoring your approach to a more professional audience and offering detailed product information, customer support, and payment options that support today’s modern purchasing departments, your B2B site can be on the forefront of the coming wave of online business. IronPlane can help ensure you don’t make these, as well as other, errors that can create barriers to your eCommerce success. Contact one of our knowledgeable staff members today to learn more.